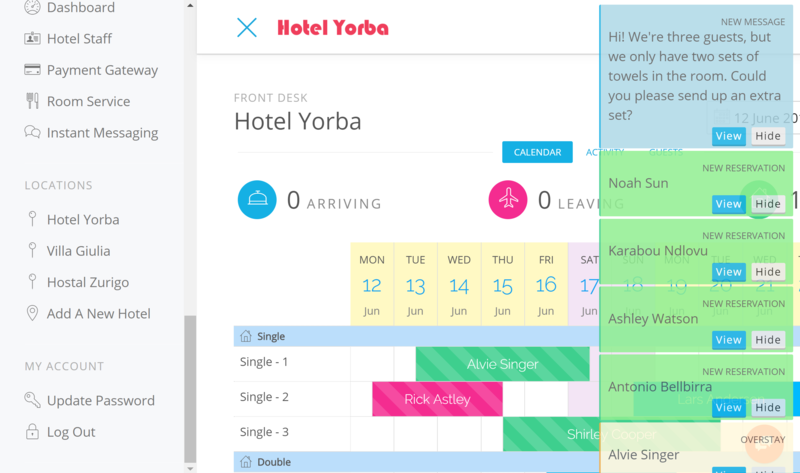 ﻿ Group Hotel Management Software in the Cloud Bellebnb platform to accommodate hotel chains, groups, and agencies!. We have expanded our platform to accommodate hotel chains, groups, and agencies. 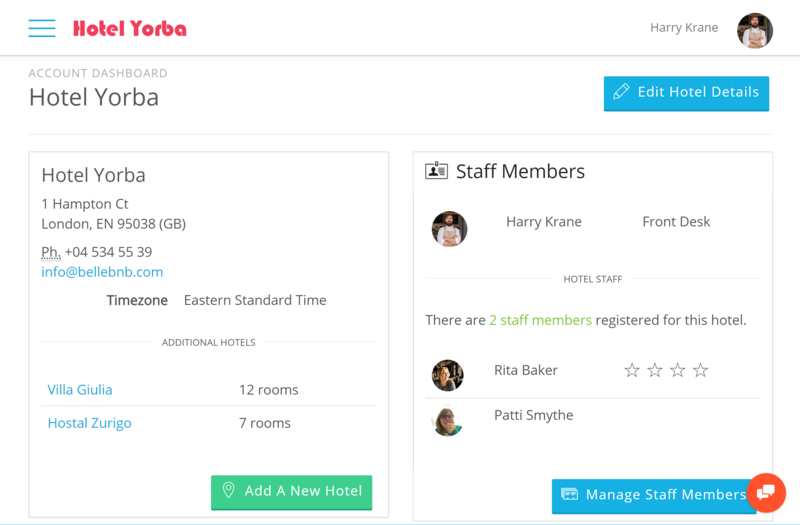 You can now add as many hotels/hostels/B&Bs/etc to your account as you need. Spread your rooms across as many locations as you like without affecting your billing statement. Your account will be billed by the total number of rooms across all your locations. We will refer to a group of rooms as a ‘location’. A location may represent a hotel, hostel, B&B, or a set of rental properties in close proximity. Throughout this blog post we may use the terms ‘location’ and ‘hotel’ interchangeably. To add a new location to your account, open the side navigation menu and scroll down to 'Locations'. Click ‘Add a new hotel’ and fill in the information. That’s it! You have a new location under your account. Click your hotel’s icon on the navigation bar again and you will now see two hotels listed. Click any name in this list from anywhere in the application to switch to that location. Guests are registered at the account level. This means that guest profiles are unique across all your locations. When the guest who stayed in your B&B in Rome last April checks in to your hotel in New York in August, your staff will be notified and none of the information will be duplicated. Staff members may be assigned to any or all locations by the account manager. The account manager has access to all the hotels under the account by default. Staff members may switch between the hotels assigned to them. Everything else works exactly like you would expect. Your booking engine, channel manager, concierge, payment gateway, etc. are managed per location. You can assign style settings to each hotel’s booking engine as you like, use different payment gateway settings per hotel, etc. Manage any aspect of every hotel by switching from the navigation bar from anywhere.